Coda Automotive reached an important milestone today, becoming the newest electric car maker to deliver electric cars to paying customers. As promised, Coda Automotive today delivered the first of the company’s electric cars to paying customers. 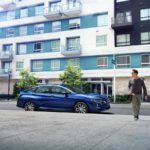 The milestone was marked in a trio of ceremonies, at Coda dealerships in San Diego and San Jose, as well as the Coda Experience Center in Century City. Coda Automotive is a start-up automobile manufacturer focusing on electric cars. The company was founded a few years ago, and has developed the Coda electric car and, through a sister company, Coda Energy, has developed electrical energy storage systems based on the battery pack technology developed for Coda Automotive’s electric car. The company’s electric car is assembled in Benicia CA using parts from several countries, including an engineless chassis manufactured for Coda by a Chinese automaker. 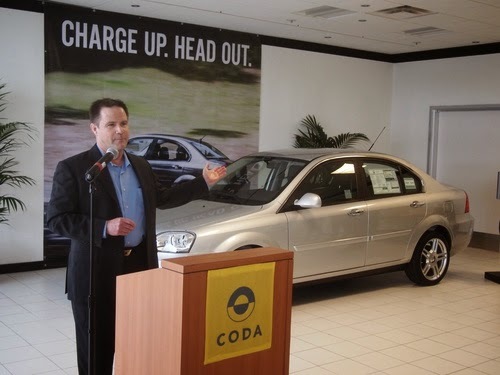 Earlier this week Coda assembled its first production electric cars at the Benicia facility. Its style is that of a typical family sedan, other than the lack of a tailpipe and gasoline engine. As an electric car, Coda’s specifications are well above those of the Nissan Leaf and Ford Focus Electric, offering a longer driving range due to the larger battery pack, and a faster recharge due to the 6.6 kilowatt on-board charger. The driving range is EPA certified at 88 miles, but Coda claims a driving range of up to 125 miles, depending on driving habits. The company will soon offer a second model with a larger battery pack, and longer driving range. The first customer delivery in Silicon Valley happened at the newly opened Coda Silicon Valley dealership owned and operated by the Del Grande Dealer Group (DGDG). DGDG is a large automobile dealership chain in Silicon Valley which already sells the Nissan LEAF through its Nissan Sunnyvale dealership. Shaun Del Grande, DGDG’s President, explained that last summer DGDG management got the idea to move into selling electric cars. After a couple months of research they settled on Coda Automotive, after meeting with Coda’s management and test driving the car. Coda announced DGDG’s selection as the first Northern California dealer in January during the Silicon Valley Autoshow. The Coda Silicon Valley showroom is located on the Stevens Creek Road Automall, at the intersection of Stevens Creek and Keily. The event was well attended with perhaps 60 people looking on, including the Mayor of Santa Clara, a representative of Assemblyman Fong, and other government officials. Coda’s Charman “Mac” Heller addressed the group talking about how Coda Automotive is part auto manufacturer, and part “movement”. The company was founded by individuals with a deep commitment to a vision of ending the age of oil. While this is one of those impossible goals one might envision in a workshop, occasionally some people manage to take seemingly impossible visions like this, run with it, launch a company to implement the vision, and begin to change the world. Coda’s staff has always worn this goal metaphorically on their sleeve. 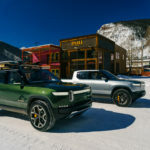 During Heller’s statements to the gathering he noted the process of change beginning today, that each electric car sold to each succeeding customer is an increment of that change for which Coda Automotive was launched. The first customer of Coda Silicon Valley was Randy Abraham, a United Airlines test pilot, and a “clean energy enthusiast”. Abraham saw the Coda Sedan at the Silicon Valley Autoshow, fell in love with the car, and due to his engineering background was able to understand the driving range advantages Coda’s electric car has over the other electric cars on the market. Abraham explained he was looking forward to, with the extra range inherent in the Coda electric car, driving all over the San Francisco Bay Area expending no gasoline. 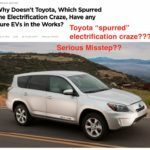 He recognizes electricity is an extremely efficient “fuel” that costs much less than gasoline. Abraham is also a shareholder in Direct Nu Energy, a Silicon Valley Startup developing a solar power carport that doubles as an electric car charging station. The concept is a straight-forward implementation of a “carport”, roofed with solar panels, and can optionally be integrated with an EV Charging station. Coda Silicon Valley plans to feature Direct Nu Energy’s carports to their customers. Coda’s electric car has an MSRP of $37,250, and after Federal and California tax credits the net price is as low as $27,250. Test drives of the 2012 CODA are available at the following CODA locations: CODA Los Angeles, CODA Silicon Valley, the CODA Experience Center at the Century City Westfield Mall, Fladeboe CODA at Irvine Auto Center, and the Marvin K. Brown CODA San Diego.